Visual Designer is a software development package optimized for OEMs. New tools streamline the application development process, and the creation of Web-based applications has never been easier. In addition to basic monitor and control, Visual Designer is packed with advanced features to streamline the design of sophisticated applications. 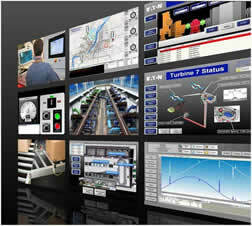 Fully connected, Web-enabled Today’s operator interface applications range from basic monitor and control to high-end, feature-rich HMi software with Supervisory Control and Data Acquisition (SCADA). Customers demand communications capability with any network, PLC, Web client, and database. The answer: Eaton’s Web-enabled Visual Designer operator interface software. Web-based thin client! Visual Designer Development Software for PCs and Eaton’s XP Operator Interface family with Microsoft Windows XP embedded operating system and a maximum of 64k tags and eight drivers. 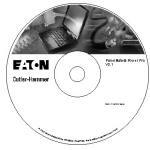 Also supports Eaton’s XV Operator Interface family with Microsoft Windows CE operating system and a maximum of 4,000 tags and three drivers. Two software platforms are available for configuring PanelMate products. The PanelMate Power Pro software is used for configuring the PanelMate Power Pro series of products including the Pro LT 1100, 1700, 3000, 5000 products in addition to the PanelMate PC Pro and PanelMate ePro. The ePro Canvas software is used for configuring the PanelMate ePro PS family of products. Both software platforms are Windows-based with extensive on-line help files included. The software includes configuration tools, Runtime software and numerous interfaces for communicating with all major PLCs via serial or proprietary connections. All software is easy to use with intuitive fill-in-the blanks user interfaces. The software includes the basics for including templates (fixed size and variable size) for indicators, readouts, messages, bars graphics and line trends. Alarming, security, symbol editor and font editor are all included with the software. The software also includes Advanced Tag and Expression Management tools. These tools greatly simplify configuring and changing OI applications and allow for easy information sharing across applications. Use the tag name databases created by your PLC or PC programming software and simply "click" on the tag name during development to save time, eliminate errors and reduce debugging costs. Use of advanced expression editing takes full advantage of the PanelMate math and logic capabilities while continuously checking expression syntax. Both development and debug time are saved while reducing PLC programming complexity. In addition, a library of over 3000 object-based industry-specific symbols is included with the software allowing users to easily create a graphic representation of a machine or process on a PanelMate screen. Software is available for a single-user or with a site license. Software upgrade kits are also available at a reduced price and are ideal for customers that have older software and want to get the latest and greatest features.The following communication interfaces are available (PanelMate PC Pro and ePro availability is noted separately). The PanelMate Power Pro software runs on a PC and requires the Windows Operating System. This powerful editing environment delivers state-of-the-art features previously available only on more expensive, high-end SCADA packages. It offers these capabilities in an intuitive, and easily scalable editing interface that allows the developer to keep it simple for simple requirements, yet easily scale up in capability to meet more demanding end-user requirements. 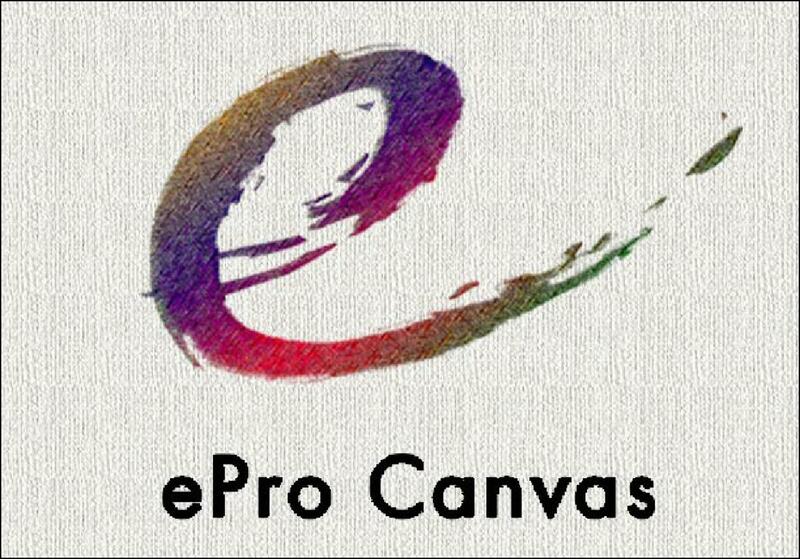 The ePro Canvas editor comes in two versions, ePro Canvas and ePro Canvas Professional. The low cost ePro Canvas is ideal for users who plan on creating basic applications. The ePro Canvas Professional provides advanced features such as a Master Page, simulation tools, and vision system support with the major feature being the ability to easily convert configurations created using the PanelMate Power Pro software for use on the PanelMate ePro PS products. This important features makes migration from earlier versions of PanelMate to the most current hardware platforms a simple process, saving time and money. The editor fully supports tag based editing and importing of tags from virtually all PLC program tag files. Complete integration of OPC client connectivity and OPC tags makes it easy to configure data items and connect to industrial data sources such as PLC's, drives, sensors, motion controllers and databases.The ePro Canvas editor was designed from the ground up to be able to easily re-use previously developed ePro OI components such as pages, communication, connections, tag libraries and media libraries. Development collaboration is the norm in many of today's organizations and ePro Canvas makes it easy for groups of individuals to work together. The ability to use as much or as little of the advanced capabilities without compromising the simplicity of the tools makes ePro Canvas the most comprehensive development environment available for any sized application, small, medium or large. The ePro Canvas development software runs on a PC and requires Windows 2000 or Windows XP Operating System.